A potentially record-breaking cocaine bust reportedly occurred Tuesday afternoon at the Port of Philadelphia. Sources told 6ABC that multiple overseas shipping containers were stocked with the narcotic in "likely the largest cocaine bust the city has ever seen." Contacted Tuesday afternoon, U.S. Customs & Border Protection Mid-Atlantic Region spokesman Stephen Sapp provided the following statement. Sources told NBC10 that Tuesday's shipment arrived aboard the MSC Desiree, which was traveling to Europe en route from Colombia. The container reportedly carried 450 kilograms (992 pounds) of cocaine with a street value of $18 million. 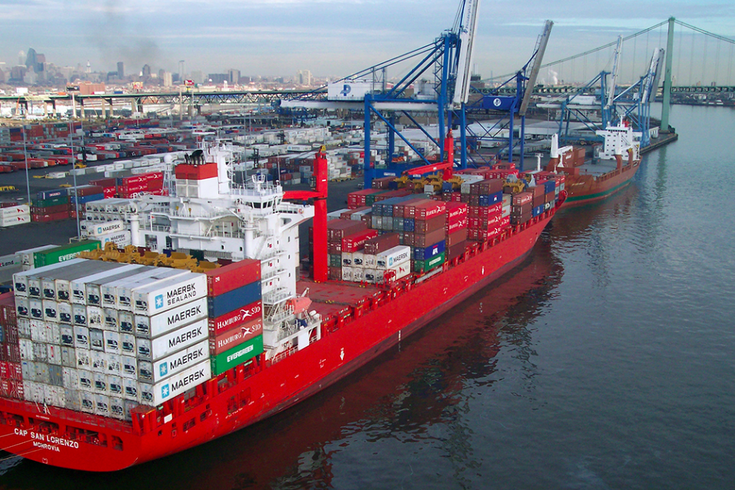 In January 2018, federal authorities seized 709 pounds of cocaine entering the Port of Philadelphia. That was the largest cocaine bust in Philadelphia since 2007, when officials seized 864 pounds of cocaine concealed in a shipping container from the Dominican Republic.